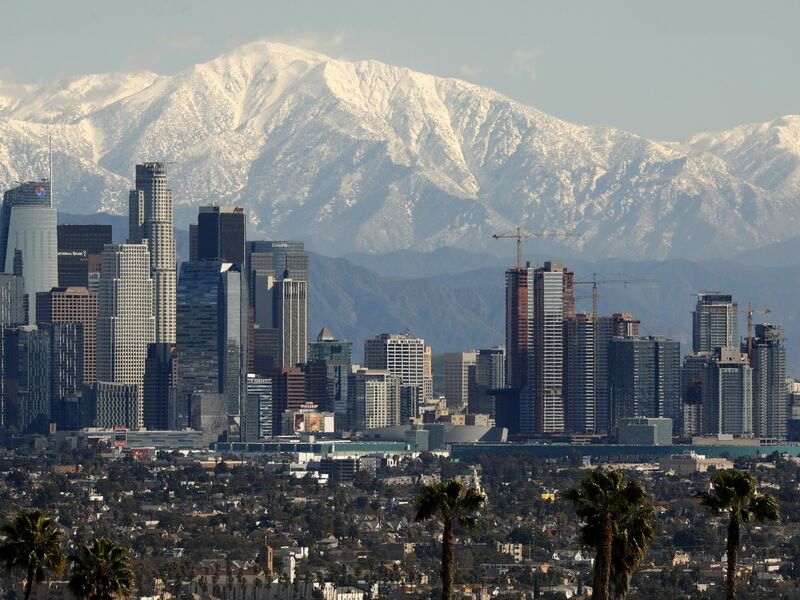 Is Los Angeles still in a drought? A week of rain—and snow at higher elevations—have nearly washed away drought conditions across California, according to report released today by U.S. Drought Monitor. Right now, the driest parts of the state are at the northern and southern extremes. San Diego County remains in “moderate drought” conditions. “Though this area has received surplus precipitation for the water year to date, several reservoirs have failed to significantly respond, remaining at or near their lowest levels in at least a year,” says meteorologist Richard Tinker says in the Drought Monitor report. Before 2017’s exceptionally wet winter, California had been mired in a years-long drought that left most of the state parched and elected officials scrambling to ensure drinking water wouldn’t run out. Last year, after below-average winter rainfall, drought conditions began to return. At the start of the current water year (October 1), nearly half of the state was in moderate, severe, or extreme drought. Weeks of rainy weather have changed that picture dramatically. Most of the state, including Los Angeles, however, is still abnormally dry. Fortunately, precipitation in the last month has replenished the most of California’s largest reservoirs. Six of the 12 reservoirs tracked by the California Department of Water Resources were filled to above average levels Wednesday, and both Lake Perris (in Riverside County) and the San Luis Reservoir (southeast of San Jose) are at nearly 90 percent of capacity. 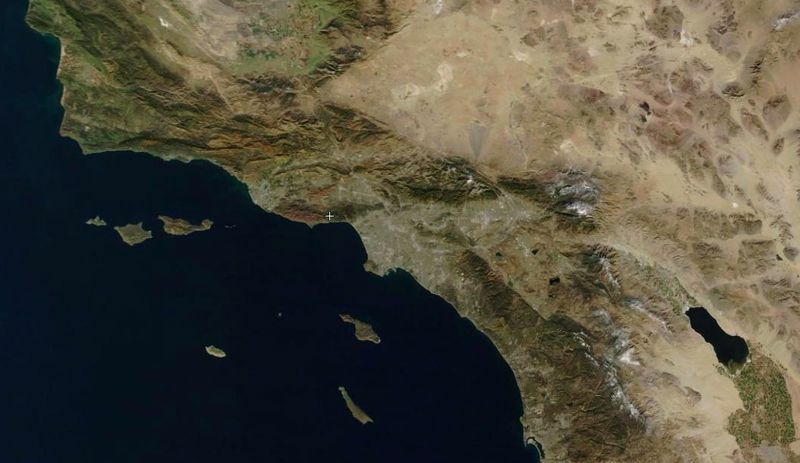 Los Angeles seen from above January 1. 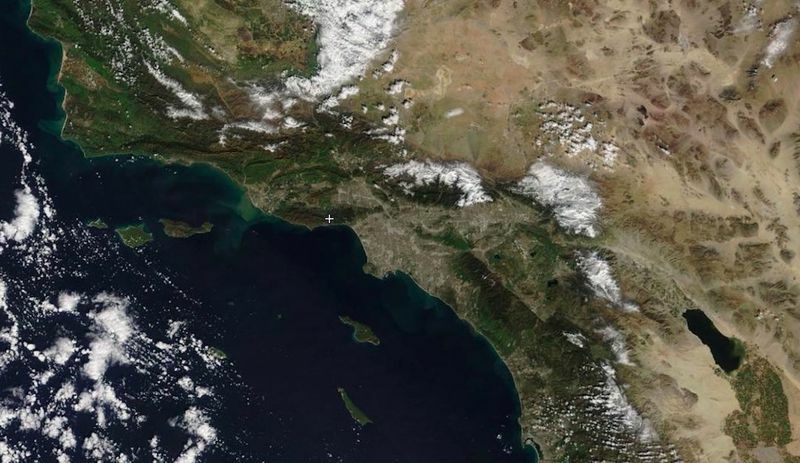 Los Angeles on February 5 (most white spots are clouds). The difference is clear even in aerial photographs. Compare the two satellite images above. The one on the left was taken New Year’s Day, while the much greener image on the right is from Tuesday.